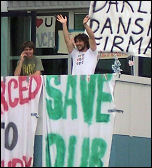 Save our Vestas! Nationalise now! THE British National Party's (BNP) leaders and organisers have not changed their neo-Nazi ideas. They are committed to stirring up racism and division at every opportunity. 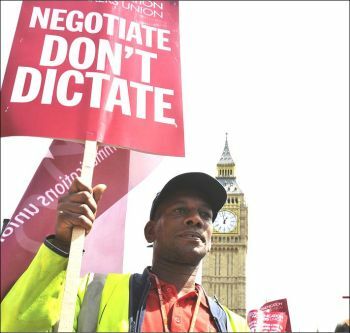 All-out action: Postal workers, members of the Communication Workers Union (CWU), have been on a series of strikes over the summer against bullying management and their attempts to impose worsening conditions in an obvious preparation for privatisation. 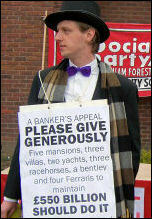 Jobs & services - not bankers' bonuses! THE EVENTS of August 1969 were an historical turning point for Northern Ireland that echo down to this day. The first deaths of 'the troubles' occurred in 1969. Ciaran Mulholland of the Socialist Party in Northern Ireland explains how the situation rapidly escalated to the brink of civil war and what lessons can be learnt from these events. From Thursday 20 August, when the A-level results are released, hundreds of thousands of young people will be hoping to get onto the course and into the university they have chosen, writes Matt Dobson, Socialist Students national organiser. Comment: On top of their fat pay packets and bloated expenses, MPs may have found a further way to save money, writes Edd Mustill, Cambridge Socialist Students. No to racism and fascism: THE BNP has lost its seat in Brinsley, their only seat on Broxtowe Borough Council, Nottinghamshire. 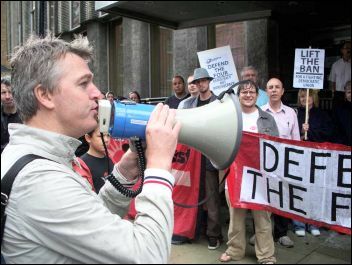 LAST SATURDAY, 8 August, Derby Campaign Against Racism and Fascism, Socialist Party members and Unite Against Fascism surrounded the BNP's only stall in Derby this year, a DCARF and Socialist Party member writes. THE ENGLISH Defence League, a split off from the BNP, and the linked 'Casuals United', said that they would march to the Bullring in Birmingham on Saturday 5 August, ostensibly to protest against "Islamic fundamentalism", a Birmingham Socialist Party member writes. Afghanistan: 40 years of failure? Barely 100 days into Jacob Zuma's presidency, the class contradictions that have produced political polarisation and then a split in the African National Congress (ANC), have sharpened with a vengeance, writes Weizmann Hamilton, CWI South Africa. 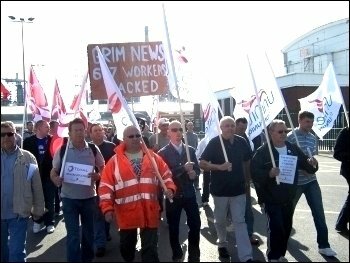 After the fantastic support given to the Save Our Steel march at Redcar on 18 July, thoughts turned towards developing the solidarity of the steelworkers into a national campaign, writes A Corus worker. Surrey council must buy back these homes now! On 11 August a strike ballot of engineering construction workers will begin. It will include workers on sites in Grangemouth, Sellafield, Stanlow, Staythorpe, and Aberthaw, all members of Unite and GMB. Aslef members at East Midlands Trains are balloting on the latest company pay offer after ten hours of negotiations led to an offer which the union thinks is an improvement, writes An Aslef member. Spanning more than 80 years, from the 1840s to the 1920s, Edward Carpenter was involved in the rise of mass industrial trade unions, working-class political representation and the struggle for women's equality. Manny Thain reviews Edward Carpenter: a life of liberty and love, by Sheila Rowbotham. AROUND 1,500 marchers turned out to protest against the far-right racist BNP's "festival" in Derbyshire on 15 August. They made it clear that the BNP have no solutions to the problems faced by working people, writes Naomi Byron. 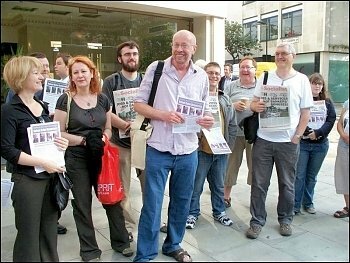 Peter Taaffe writes in the latest Socialism Today, magazine of the Socialist Party. Order your leaflets, magazines and posters for the university freshers fairs, colleges and building the Youth Fight for Jobs campaign, writes Student Socialist Issue 7. Leeds: After a series of campaign stalls in the city centre, Leeds Youth Fight for Jobs (YFJ) organised a protest outside Eastgate Jobcentre on the day the latest unemployment figures were announced, writes Manny Dominguez, Danny Melia and Helen Pattison Leeds YFJ members. 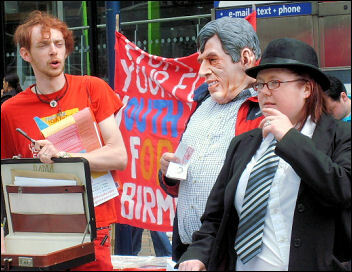 WORKERS WANT a way to defend jobs, rights and wages against the bosses and the recession. 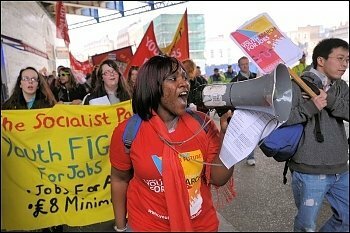 Socialists want to make sure that workers' voices are clearly heard outside this year's TUC Congress in Liverpool, which brings together delegates from across the trade union movement from 14 to 17 September. What we think: Britain's NHS has become a pawn in the offensive by US Republicans and the big insurance and healthcare companies against Barack Obama's proposals to reform the US healthcare system. As the right-wing hysteria has mounted, 'Obamacare' has been described as both 'socialist' and 'Nazi'. There is a justifiable anger against the odious slurs cast on the NHS by the US health insurance companies and reactionaries of every stripe as they strive to undermine President Obama's health care plans, writes Roy Farrar. "WHAT DO we want? Nationalisation", "Vestas Out, Workers in! ", were the chants of Vestas workers and their supporters as we took to the streets of Sandown, Isle of Wight, on 22 August getting great support from locals and holiday-makers. AROUND 100 people attended a public meeting on the Lisbon Treaty (the renamed European constitution) at Dublin's Liberty Hall on 18 August, writes Stephen Rigney, Dublin. Construction workers have been protesting for two weeks outside the Uskmouth power station site near Newport, writes Mike John, Newport Socialist Party. Stockport and Merseyside: Postal workers, members of the Communication Workers Union, have been on strike this month in most parts of the country, writes Hugh Caffrey. 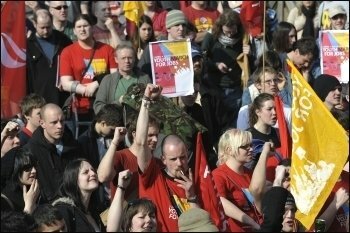 Youth unemployment: The situation for young people looking for work in this recession is still desperate and it is getting worse, writes Sean Figg, Youth Fight for Jobs national organiser. MEGAN PRICE, 22, is standing as the Socialist Party's candidate in a district council by-election in Daventry, Northamptonshire, where she lives, writes Tom Price, Northants Socialist Party. As we reported in the last issue, four Socialist Party members have been banned from holding office in Unison for three to five years by a Unison disciplinary committee. 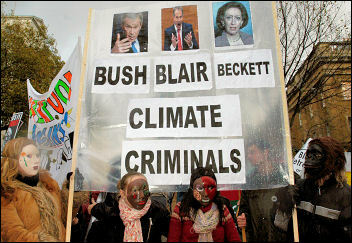 This follows the production of a leaflet at the 2007 Unison conference which was said to cause "racist offence" because it displayed the well-known cartoon of the 'three wise monkeys'. South Yorkshire firefighters could soon be taking strike action for the first time since the national dispute in 2002, writes Alistair Tice. How safe are our houses? ON 3 July this year, a devastating fire swept through Lakanal House in Camberwell in south London. This horrifying incident, which left six people dead, highlighted the poor state of housing locally, writes Jon Redford, Southwark Socialist Party. Bus passengers will not have been surprised by a recent report from the Office of Fair Trading (OFT) accusing bus companies of milking public subsidies and taking advantage of the free bus passes enjoyed by the over 60s and people with disabilities, writes Calvin Payne, Sheffield. How many obstacles can the government put in front of young people who want a decent future? 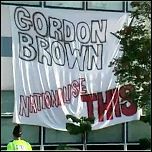 The brutal testing regime of the British education system and the bleak prospect of £23,000 worth of graduate debt have not satisfied Gordon Brown and Co, Danny Melia and Sarah Sachs-Eldridge write.